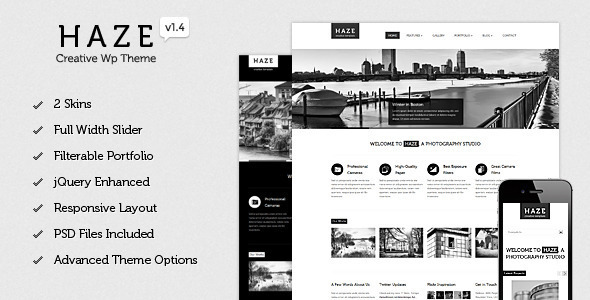 Haze is a clean, minimal and powerful wordpress theme, suitable for any type of websites. 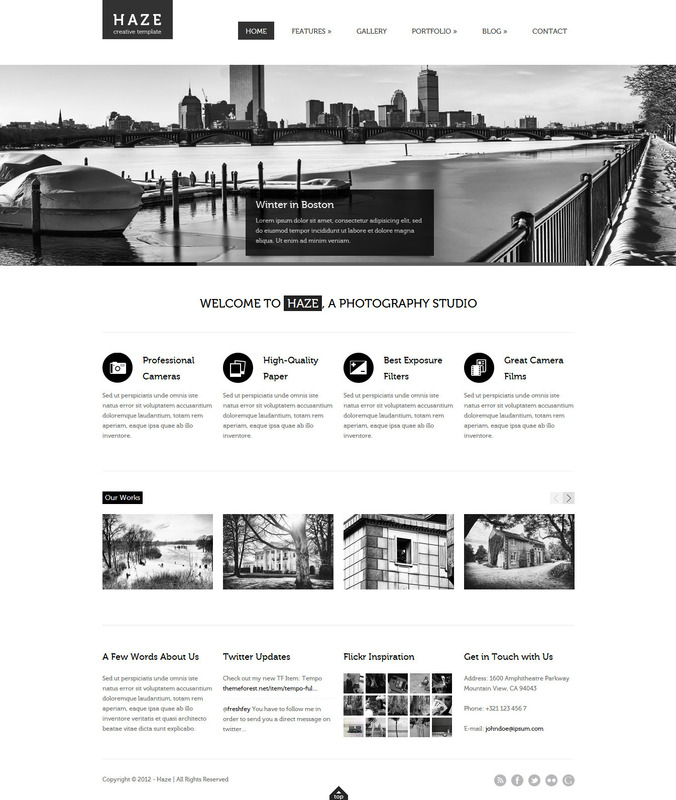 Its versatility makes it the perfect theme for creative agencies, photographers, businesses or blogs and its functionality aims to offer a great user experience. 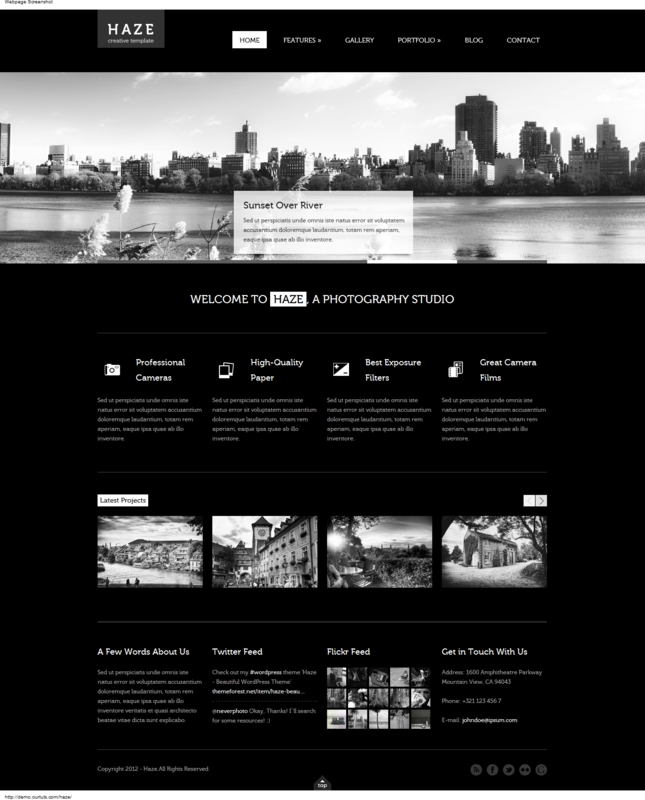 The theme is fully customizable, being packed with 2 color schemes (dark and light) and a lot of page templates and shortcodes. Haze is easy to configure, thanks to the very intuitive custom admin panel and comes with a well documented help file, which will assist you setting up the theme in minutes. Special thanks to Werner Kunz and Dani Dunca for the beautiful photos.